A unique mesocosm facility. Mesocosms bring a small part of the environment under controlled conditions, although they are rarely replicated across regions because of high costs. Aquatic mesocosms are popular as they enable complete characterization of food webs from bacteria to vertebrates. Although lab experiments have enabled some progress towards understanding of the processes determining the structure and dynamics of ecological communities they have rarely been generalized across regions with different climatic conditions. We will take advantage of the unique experimental mesocosm facility, established to test assumptions and predictions in the project using food webs from each artificial pond, compared within and among experimental sites. Figure 1 – Distribution of mesocosm experimental sites along thermal gradient in the Iberian Peninsula. This system consists of 192 mesocosms deployed across six regions. Selected locations include Semi-arid (x2), Mediterranean (x1), Temperate (x1), and Alpine (x2) environments. The mesocosms consists of 1000-L tanks that mimic small ponds. In each location, 32 mesocosms were installed ca. 3-5 meters apart. Mesocosms were initiated by adding 100kg of topsoil collected locally. We filled each mesocosm with local water; the final depth of the soil layer ranged from 5-8 cm as a result differences in water content of each soil. We inoculated mesocosms from late February to beginning of April 2014. In order to prevent confounding effects associated with the timing of installation we started with southern locations then moved north to track the rising temperatures and the beginning of spring. Following the addition of water, we left the mesocosms to settle without further manipulation for a month. The initial settling period allowed the establishment of primary producers (e.g., bacteria, microalgae), which were already present in the water, and insects (e.g., water striders) that independently colonized the ponds. Following the initial settling period, we inoculated the ponds with water collected from local natural and artificial ponds within a few kilometers from experimental site. This inoculation added further pool of species of producers (e.g., phytoplankton, benthic diatoms) and small consumers (e.g., zooplankton). Finally, we collected macroinvertebrates, macrophytes and sediment samples, adding a range of larger organisms such as molluscs. This sequential inoculation minimized potential differences among the sites associated with starting date of the experiments but also allowed to mimic a natural process of colonization in natural ponds. 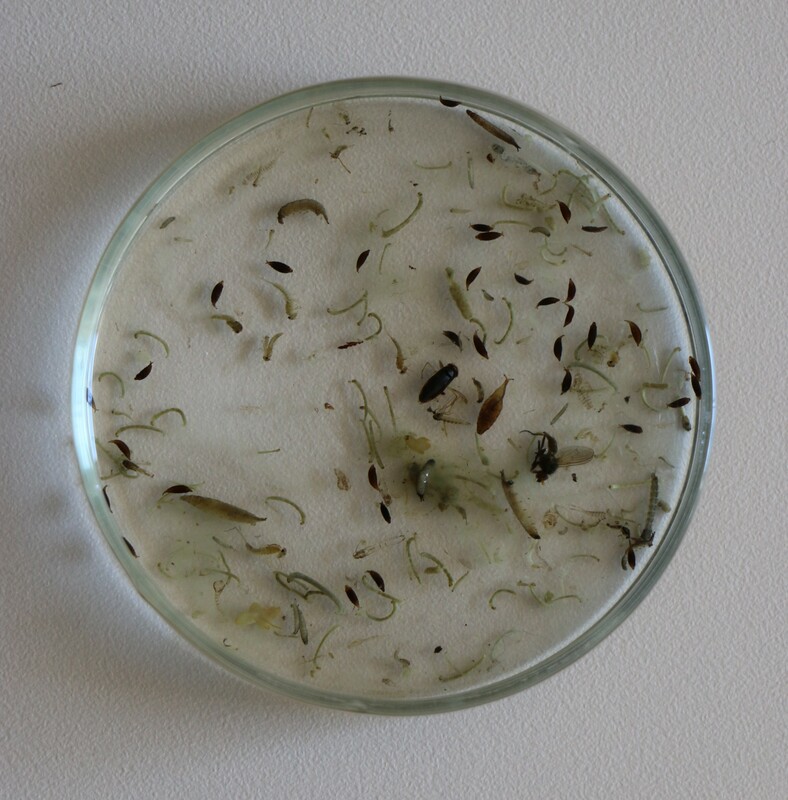 All mesocosms are left untouched until spring 2015 to allow establishment of aquatic food webs. Miguel Matias | Aquatic Ecology and Biogeography, Blog at WordPress.com.